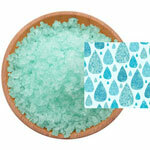 Make Bath Salts | San Francisco Bath Salt Co.
How to make your own bath salts. Making your own bath salts is a fun way to make thoughtful, hand-crafted gifts for family and friends or a special treat for yourself! You can make bath salts that suit your unique skin type and personality. The best part is, bath salts are easily affordable – soaking in a bath with bath salts added is like taking a trip to the spa, for a fraction of the cost. 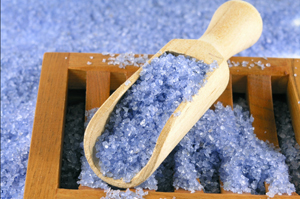 Sea salt, the main ingredient for making bath salts, carries an array of vital minerals and nutrients. 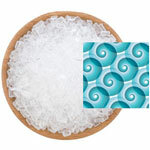 Sea salts are incredibly beneficial for the skin, body, and even your mood as bathing with bath salt encourages relaxation. Bath salts are known to detoxify your skin and remove impurities, which results in a healthy, radiant complexion and softer skin; they can also offer relief from skin conditions such as psoriasis, acne, and eczema. 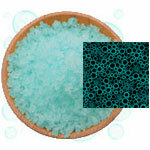 Bathing in a warm bath with added bath salts also relieves muscle aches and pains and helps alleviate stress. 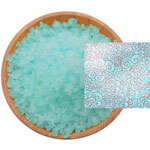 With just a few ingredients and supplies you can make bath salts at home. First, you’ll need a glass bowl, and of course, spoons to mix the bath salt recipe. Then select a sea salt and add the desired amount for your bath into the bowl. You can use Epsom salt, Dead Sea Salt or Pacific Sea Salt (you can browse our entire selection of natural non-scented salts for bath here). Next comes the fun part: adding a scent*. You can buy essential oils or fragrance oils and use them one at a time, or blend them to create a new scent. 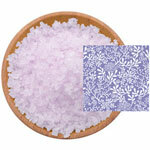 Once you’ve added the scent to your salts, use your spoon to mix the scent evenly throughout the salts. *Important Note: When you are making bath salts, you want to make sure the type of scent(s) you choose are safe for the skin and that you have check the fragrance/essential oils safety data sheet very carefully. 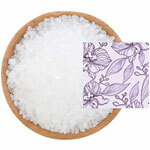 Also, very little fragrance or essential oil is required to add scent to your bath salt. Depending on the size of your batch, a couple drops of scent may be all that is needed to do the trick. 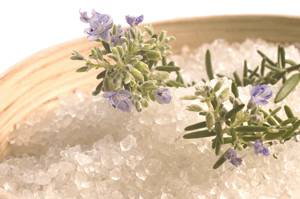 Please use caution when working with essential oils to make bath salts. If you’d like, you can add a touch of color using food coloring (again very little color is needed for coloring bath salts, try adding coloring a drop or two at a time until you achieve the desired hue for your salts). After adding in the color, use your spoon to mix the salts again until color is dispersed and salt is colored evenly. 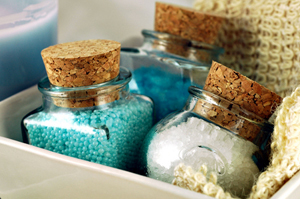 Once you make the bath salts, you can put them in decorative jars or bottles. 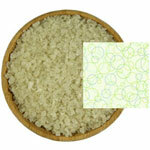 You can pour them into an old wine bottle or purchase a bottle or jar from our selection of packaging for bath salts. To complete the presentation, you can add your own label and tie a ribbon around the jar. And there you have it, the perfect gift! For more recipe ideas on how to make your own bath salts, check out our Recipes section at our Salt Blog. It May Seem Easy But! Poor quality or even the incorrect scents and colors can cause skin irritations and although sold on the internet may not really be safe for mixing with salts. Make sure to get the manufactures spec sheets to ensure that your colors and scents are OK to mix with salts and use on the skin. Also be careful of longevity of the products you mix with the salts. Many scents and colors will fade within days leaving a not so pleasant smelling bath salt and possibly an unhappy friend or even worse, a customer of yours. If you’d prefer to skip the guesswork and the mess, rather than make your own bath salts you can find the perfect bath salt for yourself or that special person from our line of over 30 different scented bath salts. These are our tried & tested formulas. Find exactly what you’re looking for in a bath salt easily as you can shop by category, shop by benefit, shop by type, or shop by scent. 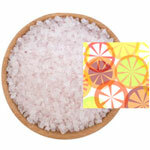 We offer amazingly low prices on all our bath salts and everyday FREE SHIPPING. See some of our best sellers below or click here to see our big slection of bath, spa and shower salts.